Having a smoker can benefit you greatly in the long-run if you know how to take care of it and use it properly with the food you’re cooking. How many times have you driven past the “world-famous” barbecue restaurant in your town and your mouth started watering from the delicious smoke rolling out of the kitchen? Just one whiff and many of us easily fall under the magic smell of smoke cooking. How would you like to get that amazing aroma from your own backyard? Which type of outdoor cooking is best for you? Read on to learn the basics of backyard smokers and how to create that "world-famous" flavor in your own cooking. Wood pellet and charcoal smokers provide richer flavors, but propane and electric smokers are quicker to heat and easier to control the temperature. 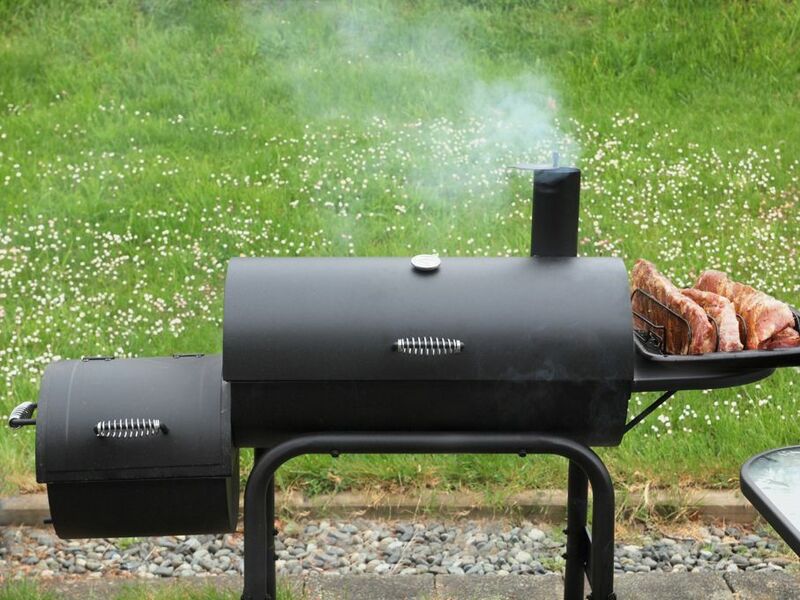 You light a smoker the same way you would light a grill that uses the same type of fuel. While the food is cooking, only turn it a few times — no more. If you lift the lid too often, the valuable smoke and heat is lost. 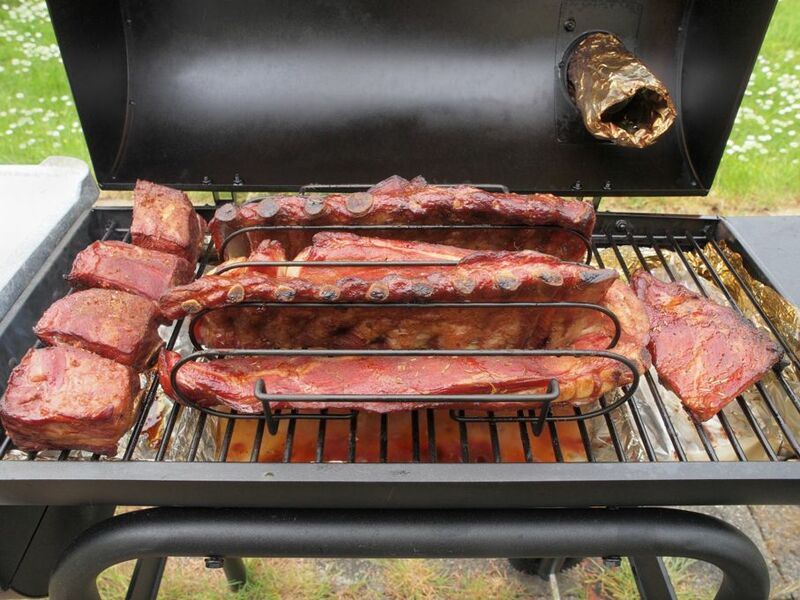 If you want your food infused with smoky flavors, then wood pellet smokers are the way to go. However, if that flame-grilled, char-grilled taste is what you're after, then a charcoal smoker is calling your name this summer. But if you tend to be more concerned at your house with ease and cleanliness, then you should opt for a gas or electric smoker. You can create an authentic barbecue feast by adding wood chips to a pan filled with water and placing it on the cooking surface for the tastiest food from your smoker. The water will keep the moisture in the meat and prevent it from drying out over the hours of cooking involved. Not only that, but the chips add a rich and smoky taste that can’t be beat! 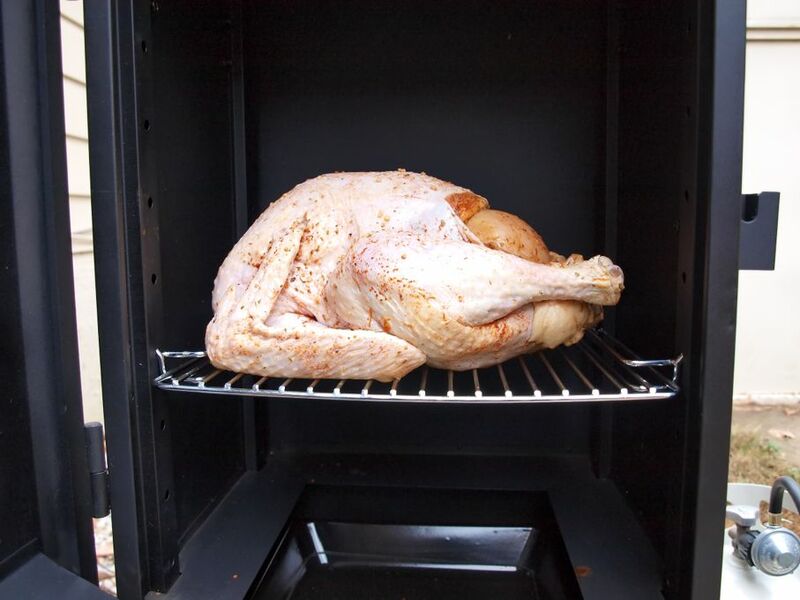 When you open the smoker to turn the food, add water as needed to the pan. 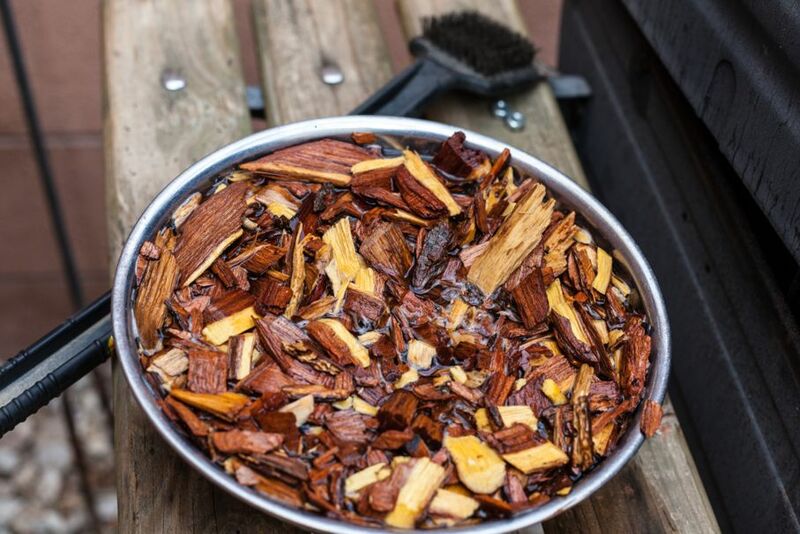 If you soak wood chips for 30 minutes in a bowl of water and then strain the water out of them, you can add them to your charcoal smoker for maximum smoky flavor. (Place it over the preheated coals prior to cooking.) For cooking times that go more than four hours, be sure to add more charcoal as needed. To add more flavor to your meat, mix spices and herbs into the pan of water and then place the meat over the pan so all the drippings during cooking time fall in. You can also buy flavored wood chips that are pre-packaged in smaller containers and ready for easy insertion into your backyard smoker or grill. Each variety of wood chip possesses a distinct flavor and complements certain foods better. If you want a bold flavor in all meats, use hickory wood chips. Mesquite provides a bold kick to poultry, veggies, and beef. A sweet fruity flavor is found when you use cherry wood chips; which is a wonderful flavor for pork and poultry. Alder wood chips are the pick for seafood and fish smoking, giving a mild sweet taste to the food. 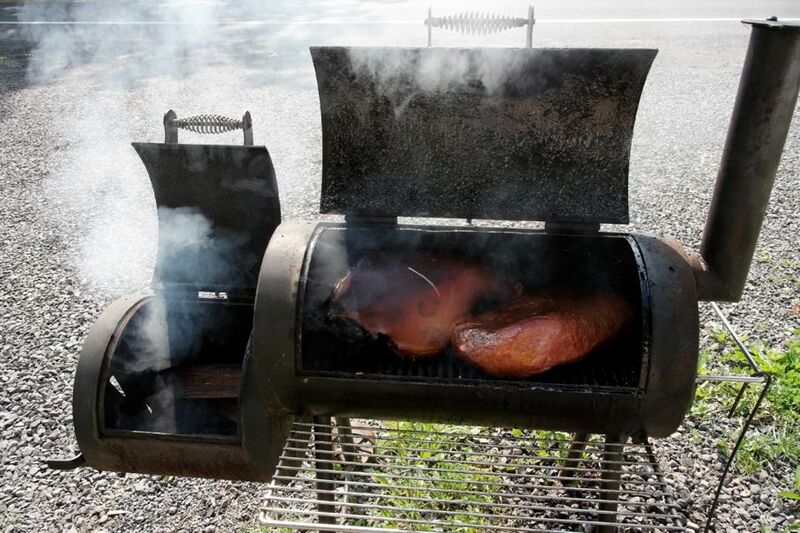 Maple and pecan wood chips are both flavorful picks when smoking pork, cheese, poultry and wild game. 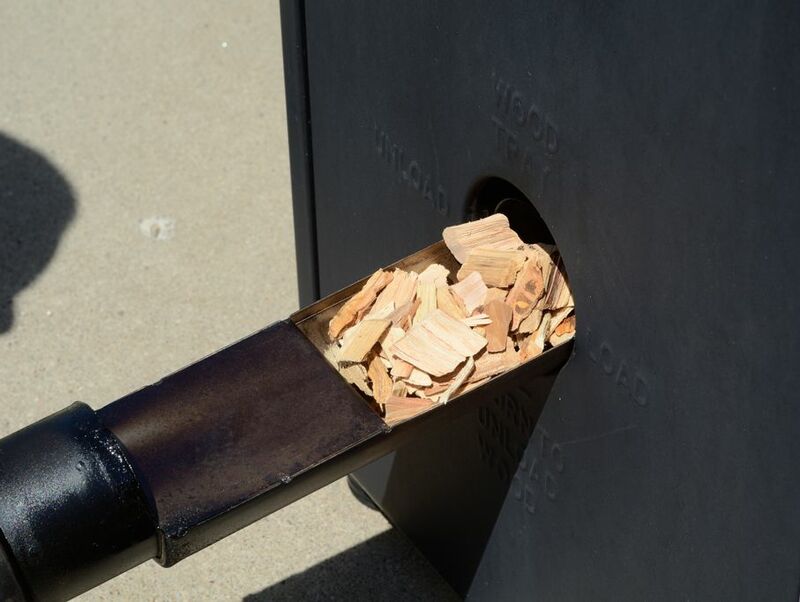 Whatever food you may be smoking will become enhanced with rich flavor if you choose the appropriate wood chip. It’s no different than grills, the grates on your smoker require cleaning after each use with water and a wire brush. 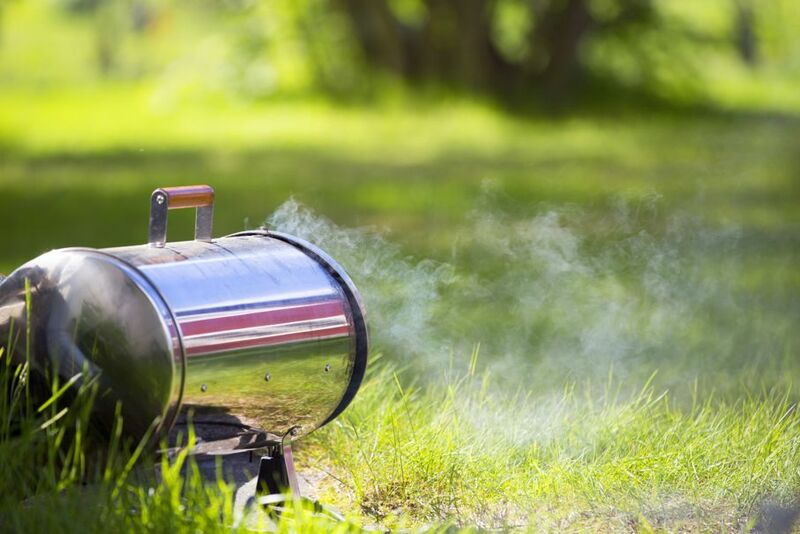 Over time, debris and grease can accumulate at the bottom of your smoker, so be sure to clean it out every three or four times you use it to cook to reduce the risk of a fire. When you scrape or scoop the bottom of the smoker out, be sure to wear gloves to avoid getting your hands dirty. After wiping out the bottom, use vegetable or olive oil to apply a thin coat to the grates. After a wipe down the sides, repeat with the oil. This will protect the integrity of the smoker and could even be used externally on the smoker as well. 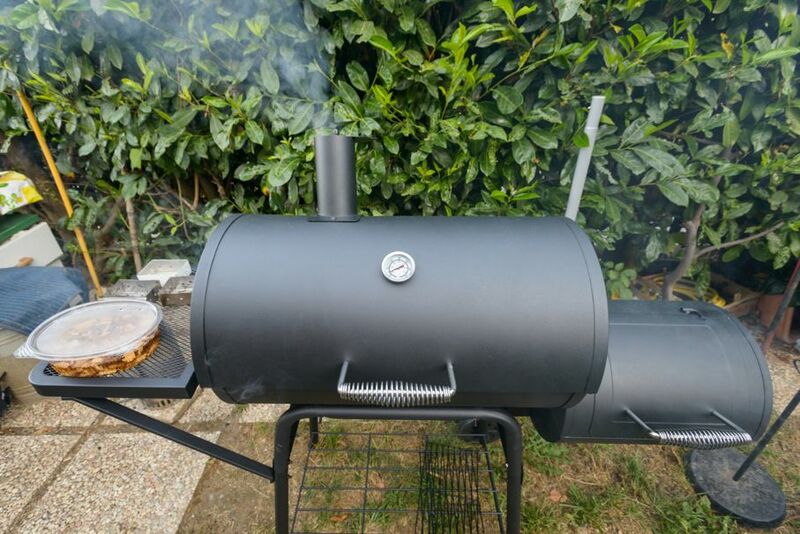 Not sure on how long to smoke your meat? Check out this printable list for smoking times and temperatures. 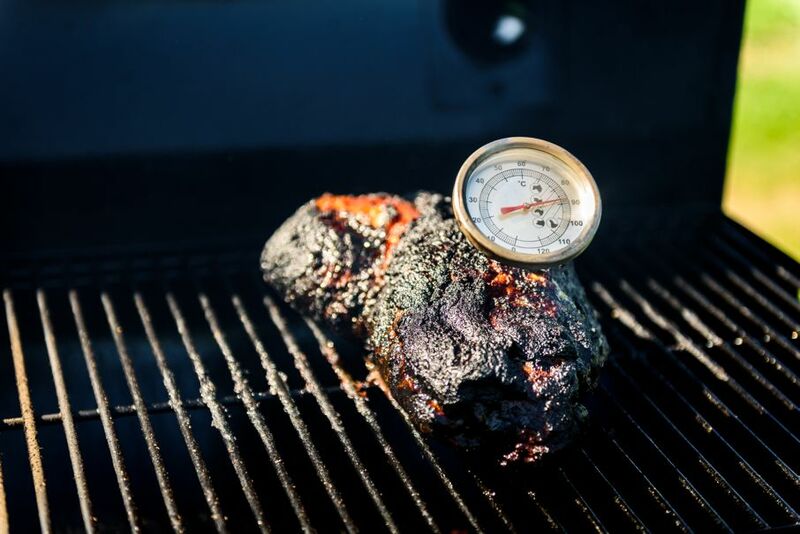 No matter what kind of grill or smoker you’re using, it’s important to check the food temperature periodically with a meat thermometer. This ensures that the internal temperature of the meat is high enough and is at its peak to eat. Although charcoal and standard gas grills are the usual way people cook in the backyard, there’s nothing that brings out the flavor of meat and vegetables like a smoker. Food is slowly cooked at lower temperatures (for an extended period of time) and can be smoked with propane, charcoal, or a variety of wood chips.